Options are derivative contracts that give the holder (the “buyer”) the right, but not the obligation, to buy or sell the underlying instrument at an agreed-upon price on or before a specified future date. Although the holder of the option is not obligated to exercise the option, the option writer (the “seller”) has an obligation to buy or sell the underlying instrument if the option is exercised. The price, or cost, of an option is an amount of money known as the premium. The buyer pays the premium to the seller in exchange for the right granted by the option. For example, a buyer might pay a seller for the right to purchase 100 shares of stock XYZ at a strike price of $60 on or before May 19. If the position becomes profitable, the buyer will decide to exercise the option but if it does not become profitable, the buyer will let the option expire worthless. The buyer pays the premium so that he or she has the “option” (or the choice) to either exercise or allow the option to expire worthless. Premiums are priced per share. For example, the premium on an IBM option with a strike price of $172.50 might trade at $2.93, since equity options are based on 100 stock shares, this particular contract would cost the buyer $2.93 X 100, or $293 dollars. The buyer pays the premium whether or not the option is exercised, and the premium is non-refundable. The seller gets to keep the premium either way. Option traders use various option pricing models to calculate theoretical option values. 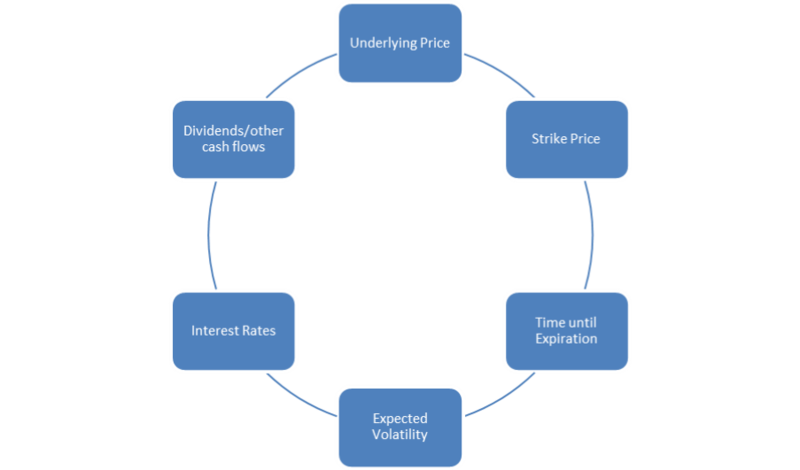 These mathematical models use certain fixed knowns in the present – things like underlying price, strike price and days until expiration – along with forecasts (or assumptions) for factors such as implied volatility, to compute the theoretical value for specific options at certain points in time. Variables fluctuate over the life of the option, and the option’s theoretical value adapts to reflect these changes .